The worst thing you can do for your health is to skip any sort of medical check-up. Similarly, the worst thing you can do for your business is to skip all assessments of your input and output. Well, I can’t let you fall in this trap, and this is exactly what we’re gonna chat about in the comments section of this post and what my latest episode of the 7 Figure Furnace podcast was about – getting ourselves ready for the confrontation. If you don’t know where you are, how are you going to steer your ship towards the treasure? You need to confront your reality to figure out what you’re dealing with and what your own strengths are and in the following paragraphs, you’ll get a few pointers as to how to do it as quick and easy as possible. Ah, Google Docs – free, powerful, highly customizable. You can use them for almost anything you can think of, and they’re great for keeping you organised. They’re also perfect for sharing your lists and guides and assessments with members of your team or independent contractors. What domain names do you currently own? How many websites are up and running and where are they hosted? How much are you paying for all of those websites? What sales pages did you put up? How many of them are currently active? These are all things you should know at any time. Open a Google Sheet and fill in all of these things. You can use separate sheets or just one. When are you usually working for your business? What campaigns, ideas, social media posts, newsletters or new products are coming out in that time? Are you spending time in front of your computer without actually working? Can you move your leisure and work hours around to optimise your productivity? With a 9 to 5 job it’s clear: if you don’t receive your salary when it’s due, something’s definitely wrong. With a business, things are more complicated, depending on what your goals for success were. Money is part of the equation, but when you’re an entrepreneur there are so many more things to check off before getting money to pour in: what was your traffic for this month, how many leads did you get, how many conversions, how many refunds? You should know these stats because they’re the vital signs of your business. Do you know what subscriptions you’re paying for every single month? Do you know what is their todal value? It might shock you. You should keep track of all of these $5 to $10 to $100 monthly expenses and you should also know what other products and services you bought for your business. Add them all in a Google Spreadsheet. Next time you see a product that sparks your interest, make sure you take a look at your list before paying for it. Maybe you already have the product or something similar in your arsenal but just forgot about it. You can’t run an online business without using Google Analytics at least at a basic level. There is so much you can learn about the people visiting your websites and sales pages. One of the simplest things you can do is go to Behaviour > Site Content > Landing Pages. This is telling you where people land on your website. What content are they looking at when they first visit your business? How is that helping your business? 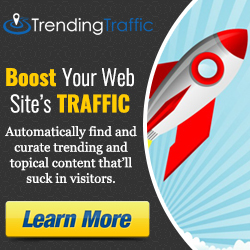 Another simple thing to find out is how are people getting to your website or sales page. Go to Acquisition > Overview > All Traffic to see it. If just 4% of your traffic is coming from Twitter or Facebook, why on Earth would you invest 80% of your time on those platforms? Always invest your time in what works. Something that’s a bit more difficult is setting up split tests. You can do this by going to Behaviour > Experiments > Create Experiments and follow the instructions there or use Google Optimize. If you’re not that familiar with Google Analytics, that’s OK, just hire a freelancer to help you out. Split test can help you make sure you’re doing all you can to convert your leads, that there aren’t ways you could convert more people and make more money that you’re just not using. If your current sales page copy isn’t the most effective one, you should know so you could change it to what works. Don’t let bank statements scare you. It can be uncomfortable but you really need to know what is going into your accounts and what is coming out. It can make you uncomfortable because there can be a difference between what we think we spend our money on and what we actually spend money on. Find out where you’re at and use this moment as fuel to further expand your business. The trouble with confronting the reality of how your business is actually doing is that you need to do it every once in a while. Once you know where your business is at and where you want it to be, you need to track your key metrics (what drives your business forward) so you could make sure you’re making progress. Is your ship sailing towards the treasure or away from it? And listen up, mate, progress is HARD. If today you’re in even a slightly better place than 6 months ago, that’s progress, so don’t be too demanding of yourself. You’re doing a good job. I hope you’ll use these simple tools to face your reality and track your success, and I’d love to hear about what obstacles you’re dealing with and what did you learn when you first did an assessment of your business. In this episode number 23, I interview Eric Weiss who entered the online marketing space when he launched a product on Warrior Forum a few short years ago and now more recently some software brands in the JVZoo space. He has now sold over $5 million of his information and software product sales. Eric’s also a top Udemy Instructor with over 15,000 students, always happy to share his strategies and useful tips, which is what we are going to focus on today. During today’s episode, Eric will discuss how to generate leads and build a massive Facebook following using Udemy’s 10 million student marketplace, how to structure your course to get around Udemy’s limitations for lead capture and how to monetize it successfully, to make more than just sales of your courses within the platform. Cindy: Eric, it is fantastic to have you right here on the show. For people who are listening in today who haven’t actually heard about who you are, could you please just explain to them who Eric Weiss is? Eric: Sure. First of all, thank you for having me here, Cindy, I really appreciate it. Just a quick run-through, I don’t want to bore everyone to death and give you the 20-minute version, but just a quick bio. I actually started out in the corporate world, I had nothing to do with marketing and finance, investment banking working on M&A transactions. After that that’s when I started, and basically it was this opportunity that I found online. One of these sales pages, I thought, “Oh, is this a scam? Is this not a scam?” I ended up joining this group launching a product on the Warrior Forum at that time. That led to launching a couple of software brands in the JVZoo space, and we were selling the software space today plus on Udemy. That’s another part of my business. The last part is buying and selling digital assets. I know what we are going to be focusing on today is [traffic 00:01:27], so I’m really excited to give people some good tips and strategies. Cindy: It’s just insane to hear the amount of success that you’ve had and you just started out with just getting an idea and throwing something up on Warrior Forum. This is incredible. Obviously, you had a lot of knowledge before, but isn’t that exciting? That thing putted into my head that I need to do something within 30 days because otherwise I’m going to run out of time and I’m going to lose that $100. Actually it was like a gun to the head type of approach. It went well. Literally that month we did over $20,000 in sales coming from nothing, no knowledge of Internet marketing, absolutely zero. At that time especially at that time my technical knowledge was really, really poor. I’m even embarrassed to say out how non-technical I was at that time. Cindy: I think everyone starts out like that. I just love hearing the starting stories and I hope our listeners do as well because you don’t have to have a whole lot of experience. Like most people who are doing really well now, most people just started Googling stuff, going to online forums and just connecting with people and listening and just soaking in and obviously podcast, keep listening to podcasts. Eric: Exactly, exactly. At that point [I was really 00:03:44] listening to podcast, but similar I definitely agree, because there is a webinar type of thing once week type of sessions. It’s the same thing as a podcast. Cindy: Today we are going to be talking a bit about what you are doing with Udemy because not a lot of people are using Udemy. I know there is a handful of marketers who are doing it, and you are one of the bestsellers on Udemy, correct? Suddenly it started generating all of this massive traffic whether [inaudible 00:05:15] leading to opt-ins, a pretty sizable Facebook group, everything. I definitely recommend it, but no one really uses it as a traffic. Even the people that are on Udemy, they don’t really know what to do with that traffic. Threre are a couple of problems, and the biggest one is Udemy doesn’t give you those email addresses. That’s the biggest problem, you have to know how to get around that, and if you want to call it a legal manner. Cindy: We are going to be covering a few little bits about Udemy. As you mentioned, you can basically take content that you’ve already created or you can put together your own entire course. Do you want to just quickly explain what Udemy is if people haven’t actually seen it? Internet marketing, marketing courses, but you have courses about cooking, you have courses about yoga, you have courses about fitness, programming. Programming is probably one of the hottest topics; marketing, like we said; business in general; languages, literally everything. People just come there, they find a course, they like it, they buy it, view the course, and its better than getting a university education. Eric: That’s a big traffic [forum 00:07:03]. Cindy: For people who are really hungry to learn. Eric: Exactly, it’s a massive traffic [forum 00:07:10]. Literally I don’t know how long ago, it’s about a year ago, Udemy has got 60 million, over $60 million, I think $65 million in funding at that point, maybe they even raised more money since. What I want to say is that Udemy is not going anywhere. It’s still in the growth phase and it’s only going to get bigger and bigger. Cindy: I’ve seen that they are making a whole bunch of changes, like they are allowing users and we’ve probably talked a little bit about this as far as marketing and getting more people on to your courses and all that stuff, but they’ve made it so that your courses can’t be less than $20 now. They have to be between 20 and $50 for a course. A lot of people are using them to give away free courses, so they are really working on building more value and increasing the perceived value in actual courses, I think. Udemy is definitely doing a lot to keep building on their platform. Eric: Exactly. Cindy, I just want to check, can you still hear me? Cindy: I can, [inaudible 00:08:25] just for a tiny bit. I can still hear now. Eric: Perfect. What was your question? Sorry. Cindy: I was just talking about the changes in Udemy and just confirming that like they are definitely growing, they are building up for growth and they are definitely working on ways to bring value for the people that are creating courses, not just for the people that are studying them, but keeping actual quality control in there. They are very strong on the quality control. Eric: Exactly, exactly. Cindy: How do you …? Cindy: Why don’t you tell us a little bit about, we probably don’t want to go right into how to create a Udemy course, there are a lot of courses on Udemy on how to do that. As far as marketer goes, if you have content and you want to put it onto Udemy, what is the best way maybe to start structuring your Udemy course so that just for the specific ways of getting people from Udemy onto your mailing list, how do you market to people from Udemy? Eric: It’s actually pretty easy. I’m not going to go into how to structure a course, but we’ll talk about the traffic, and there are a couple of things that I do that, and I thought about this before I published my first course, I really thought about this, it wasn’t that it just came out of nowhere. I sat down and I said, “Okay, how can I get around this?” Number one, all of my courses are mostly screenshare type of PowerPoint courses because they are marketing, I’m not doing languages or anything like that. Now that’s really good because what do I have on the bottom of my PowerPoint, I have my DigiStrats.com website. On every single slide, it says www.DigiStrats.com. Obviously people see that and everyone that views my course, a lot of the people they are like, if they are listening to my course, they are curious about me, they want to know more about me, and they are probably going to visit my website. Now I can’t have down there DigiStrats.com forward slash free opt- in, Udemy would ban me if I did that. Of course, you could put your regular website on there, and then once people start clicking there, of course, there are pop-ups and opt-ins and then things like that. A lot of those people, once they start listening to the course they’ll convert. Now, so that’s one of the ways. This really converts that traffic into that Facebook group, and that’s allowed according to Udemy rules. My boys change in the future, but they like Facebook groups because it fosters communication and everything, so you can get that traffic into your Facebook group. I can tell you though some additional pros and cons of that strategy, if you’d like. Eric: The thing about the Facebook group, so it’s good and it’s bad. I like being very transparent, I don’t like biasing people whether it’s with my courses or stuff, I like to be extremely transparent. The good thing is at this point I think I’ve over 2000 or 3000 people part of the Facebook group. Now the bad thing is the engagement isn’t as high as it could be. There are two reasons for that. Number one, and then that’s something that people can easily fix. They maybe have been neglecting sometimes posting and then things like that to keep out the engagement. People, if you are really focused on the Facebook group, you’ll do fine, but the second reason and this is the good reason just so you understand how Udemy works, is in the beginning when you post your Udemy course, you are going to give out free coupons for at least the first 1000, 2000 students. Why? Because it’s social proof, so when you get those freebie seekers in there, they are not the most quality people going into your Facebook group, and the Facebook group algorithm picks that up. If you don’t have quality people in your Facebook group that are not really [engaging 00:13:26], when you post it, it’s not going to show up on their newsfeed as much as if it’s a real tight-knit community of let’s say 100, 200, 300 people that paid $100 dollars or something like that. Just going through like the pros and cons of how that Facebook strategy works, with the email opt-ins you can control that much more easily than you can the Facebook algorithm. Cindy: Right, but with Udemy you can’t just send them straight to an opt-in. Cindy: On the final video that you do, you can do like a bonus video, can’t you, but many people actually get to that. On the Udemy when you create a Udemy course, on the last video you are able to put in some pitch, but it’s got to be a low key pitch, right? Eric: Exactly. You could pitch your other products and things of that nature. Now like you said, some people get there, and the statistics are a little skewed because you see the overall statistics, a lot of these people got in there for free into your course, which also means that they might not get, although especially those people, the people that paid are much more likely to complete the entire course. Those are the people that are going to additionally buy more products, so it’s still good to put that in the last video, your other products and then things of that nature, but that’s why I try to frontload the Facebook group, have my URL everywhere, so that I put that DigiStrats brand into people’s minds, and then people start clicking, typing it in the URL box all that. Cindy: That is awesome. That’s a really good strategy of how you’re being just very direct. I’ve created a Udemy course and I didn’t really follow-up with, I didn’t even think to push them into a Facebook group. That’s really definitely saying that I think I’ll probably have to implement then. Eric: Cindy, do you have a Facebook group right now? Cindy: Do you build a special Facebook group for each course or do you just have one for each? Because I do have a Facebook group, but I don’t really push people to it and I’m not very active in it. It’s one of those things that I know I need to and I’ll probably get around to it at some stage. Eric: Exactly, exactly. Same thing, I completely agree about the being active part, even though I try to be as active as possible, but no, I don’t build a separate group for each course. There would be no way I could manage that. Cindy: Do you have multiple courses then, I’m guessing? How many courses do you have on Udemy? Eric: I believe it’s at 12 right now. I do have multiple courses, and pretty much all of those courses it’s, I just wanted to make all of those courses. That’s the cool part is that I just went through and I said, “Look, let me distill all of my copy knowledge into copy course, and all my webinar knowledge into webinar course, all of my affiliate marketing knowledge and then into an affiliate marketing course.” That’s the way I went about it. Cindy: I’m not sure on the rules of Udemy, are you able to – if you are creating content for Udemy courses, are exclusive to Udemy or can you use anywhere in business? Eric: No. You can use it anywhere else. Cindy: That’s a big thing too. You can basically take any content from anywhere then that you’ve created and put onto Udemy or the other way around. Eric: Exactly, exactly. Now I want to warn people, or not warn, but just advise them about doing that is when you create your content, you need to have that in mind. It’s like when you are creating a business, like I was saying, the other thing that I do is buy and sell businesses. When you create a business, if you want to sell it and exit out of it, you need to create the business with that in mind from the beginning. Same thing with this content because often times if you’re doing maybe a webinar course, maybe some courses and you don’t use the right audio, you don’t use the right microphone, you might be clipping, they are not going to accept the course on Udemy. They do have very high quality standards, and you want to plan that out correctly ahead of time. However, if you do get approved by Udemy, you can pretty much repurpose and reuse that course almost everywhere else. Cindy: With that in mind, it’s probably a good idea to create it based on Udemy’s restrictions or guidelines, I guess, and then repurpose it for other stuff after. Eric: Exactly, that’s usually what I recommend for people to do. Even with that, like if you are creating slides or things, a lot of people make this mistake. They’ll start talking about Udemy because they think that Udemy is the only place where their courses are going to be hosted and they are creating it. Say, “Oh, you are a Udemy student within the audio.” Obviously someone else is listening to that and they came through a different channel, they are like, “What’s going on?” Just be careful, be very mindful about how you are targeting your message. Cindy: Do you use, do you repurpose any of your content in other platforms? Eric: There is some, there are sometimes occasional times when I do that. For example, I did create a product. It was a product that we launched, it was our YouTube Outro Funnel Creator product, and one of our upsells was a course. Now a couple of weeks before that, I actually created that course first for Udemy and then I used that same course as part of my product funnel. Cindy: Awesome. In a previous podcast recently with Earl Flormata we talked about content repurposing, and he talks a lot about creating a video and then different ways that you can use that video, exploit the transcripts and do all kinds of things and use that content. If you are creating it for a Udemy course, then there is, you are actually putting all the work in to create some amazing content, repurposing it as much as possible kind of makes sense. I think like that strategy together with Udemy could work really, really well. Eric: Actually you bring up a good point, and since we are talking about traffic, I do want to bring this up. Now let’s say you create a Udemy course, I don’t know maybe it’s going to be 50 videos or 30 videos depending on your style and how you like to structure things, why not use that for YouTube traffic? What do I mean? You’re already doing these content pieces, so why not take a couple of them and publish them to your YouTube channel. Then on your YouTube channel when you publish it, what do you have, what link do you have right underneath, you link it back to Udemy course or your website, wherever you want to do it, repurposing that to do this like curation strategy. Cindy: Over the course with a coupon or capture whatever you like there, I guess. Eric: Exactly. When we talk about actually podcast, I’ve started doing that, but haven’t completed it, just because I’ve caught up with some other projects, but what I plan on doing is I haven’t launched my podcast yet, but doing it as this type of because we are talking about traffic is like a triple strategy. Invite my entire community to a webinar, that can be done by Google Hangouts. People get to listen to it live, then automatically Google Hangouts takes it, turns it into a YouTube video, it’s on your YouTube channel, you get more traffic there, and then you strip out the MP3 audio and turn it into your podcast as well. Then if you want, you can even take it a step further, get that transcribed and use that, publish it to your blog plus put the video of that on top and the podcast of that on top, and then you just have this all-around strategy to really push your content out and get traffic from multiple places. That’s what I’m planning on doing in let’s say about two months, I want to wrap up a couple of other projects. Cindy: Two months seems the magical golf for everyone right now that everybody is going on. Cindy: Have you got any final tidbits that you can share about getting traffic from Udemy? Eric: Sure. What I’m actually going to do, Cindy, we didn’t talk about this, but I just came up with this idea on this podcast. What I’m going to do is I’m going to give you a link, I don’t know we are going to limit this probably maybe to 50 people, I don’t know. I’ll let you choose but probably to around 50 people. I have a course about how to create Udemy courses. Eric: I never published it online on Udemy, and I sold it actually as more of a coaching program for about $4.99 and $6.99. I’m going to give that to, there is no opt-in required or anything, and anything like that, but I’ll give that to maybe let’s say 50 of your people for free, first- come first-serve. Eric: They can just a take a look at that. Cindy: Thank you so much, Eric. I’m sure people are going to get a huge kick out of that. You guys that are listening, I’m going to have a link. If you are listening through iTunes, come over to 7FigureFurnace.com and be one of the first 50 people, so grab that link. You just need to look for Eric Weiss’ podcast and the post on 7FigureFurnace.com and come and grab that. Thank you so much, that’s awesome. I’m sure that’s going to make a lot of people super- happy. Eric: Thank you for having me here, Cindy. Cindy: Thank you for being here, I’ll talk again with you soon. Eric: Take care.